The Amazing Spider-Man 2 returns the Marvel Comics web slinging superhero to the big screen. The 2014 feature film release is a sequel to the 2012 The Amazing Spider-Man film, with the iconic red and blue Spidey / Peter Parker played by Andrew Garfield this time around. 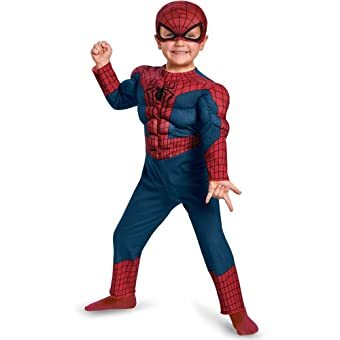 As with other Spider-man movies, Spider-Man 2 costumes for kids at Halloween are popular and easy to find. In this follow-up to the madly successful Amazing Spider-Man original, the radioactively enhanced Peter Parker continues fighting crime in his alter ego. Emma Stone plays Gwen Stacy, Peter’s love interest. Dressing up as Spiderman this Halloween is a no-brainer. 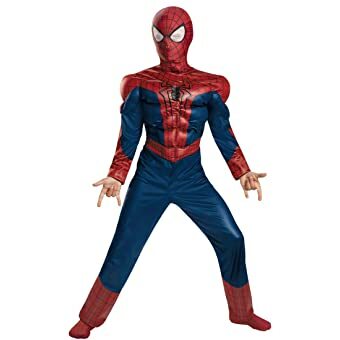 Plenty of formfitting, total body jumpsuits and “second skin” Spiderman outfits are available from multiple Internet costume suppliers and party stores. For kids, Spider-Man 2 costumes usually include jumpsuits and masks. Ladies who would like to portray the lovely Gwen Stacy this Halloween can wear a white lab-style coat over a minidress, or go trick-or-treating in the most common outfit that character is frequently seen wearing in the movie. A lime green overcoat with white pocket and sleeve trimmings is worn over a royal purple, mid-thigh minidress. 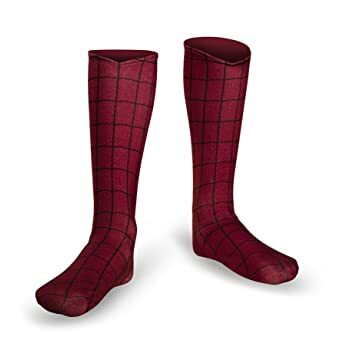 Add black mesh leggings and black leather knee-high boots, and in this Spider-Man 2 costume you will have all the Peter Parkers out there paying attention. Feeling villainous? Why not show up as Green Goblin / Harry Osborn? Osborn, an old friend of Peter, is the appropriately named emerald colored bad guy in this film. Green Goblin costumes are available in excellent detail from multiple online retailers. Max Dillon is an electrical engineer, whose counterpart is the criminally minded Electro. 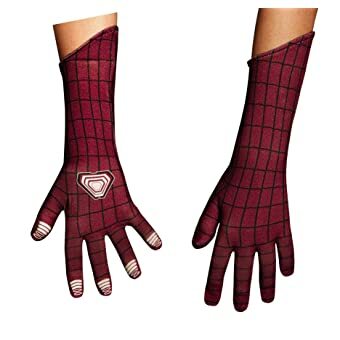 At first idolizing Spiderman, his obsession with the web walking superhero turned him to the dark side after an accident at work involving electric eels. The Electro Spider-Man 2 costume is a black, formfitting bodysuit. You can either paint your head electric blue, or purchase a realistic looking Electro mask online. Paul Giamatti plays the powerful supervillain Rhino / Aleksei Sytsevich in The Amazing Spider-Man 2. The Marvel Comics character first appeared in 1966, and the 2014 version will definitely require an online purchase. A Rhino mask is just the start of this Spider-Man 2 costume. The entire outfit includes tattooed arms, a gold rope necklace and a rhinoceros shaped robotic machine that Aleksei Sytsevich wears and manipulates. The web shooting Spiderman is always a dependable go-to Halloween costume. Endearingly popular as a hero since he appeared in Marvel Comic book form in 1962, he is easily identifiable. 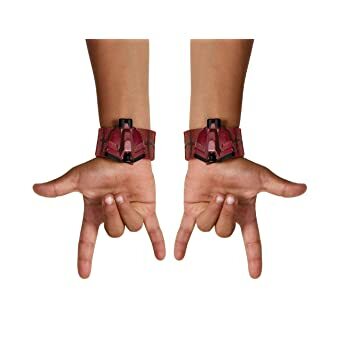 But the rest of The Amazing Spider-Man 2 costumes and characters are memorable as well, with the detailed and officially licensed Rhino and Electro costumes guaranteed to serve you well in any Halloween costume contest. 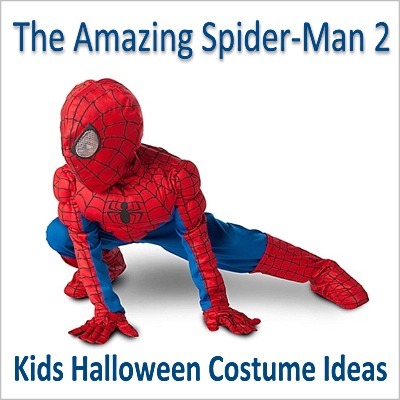 Click here for a nice selection of Spider-Man 2 halloween costumes .